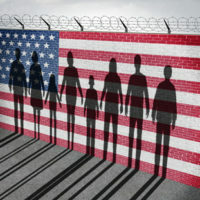 The United States continues to mire itself in a complicated web overlapping immigration decisions with those of criminal justice—a criminal justice system that is “infected with racial bias”—ultimately promoting deportation policies based on criminal activity which effectively result in discriminatory policing. While Senators Richard Durbin and Lindsey Graham introduced a revamped version of the Dream Act of late in an attempt to grant legal status to young immigrants brought here as children, the law still bars the U.S. from providing any assistance in this regard to youth who committed a variety of crimes. Meanwhile, immigration officials recently announced yet more planned raids against teens suspected of gang membership. All of these actions—even those which, like the Dream Act, attempt to help immigrants who are here—unfortunately stem from the faulty presumption that there are two kinds of immigrants—those who have been involved in prior crimes and those who have not (i.e. the “good” and the “bad”) and we should base policies on this presumption. The problem is that separating immigrants out into these two groups ignores the inherent bias and problems embedded in our criminal justice system; most notably, the deep-seated racism that continues to plague law enforcement officials. For example, in 2013, 76 percent of black immigrants were removed on criminal grounds (compared to 45 percent of all immigrants) even though there is no evidence that black immigrants commit more crime than other immigrants. And the current administration’s promises to renew its commitment to harsh policing practices only indicates that racial discrimination in the criminal justice system will continue to be on the rise. If you are interested in working with a criminal defense attorney to address any crimes you have on your record, or are concerned about potentially being deported for suspected crimes, contact the New York and New Jersey office of Phillip Murphy to speak with one of our experienced criminal defense attorneys. We’re represented many clients unfairly targeted for criminal accusations and/or deportation due to racial profiling alone.